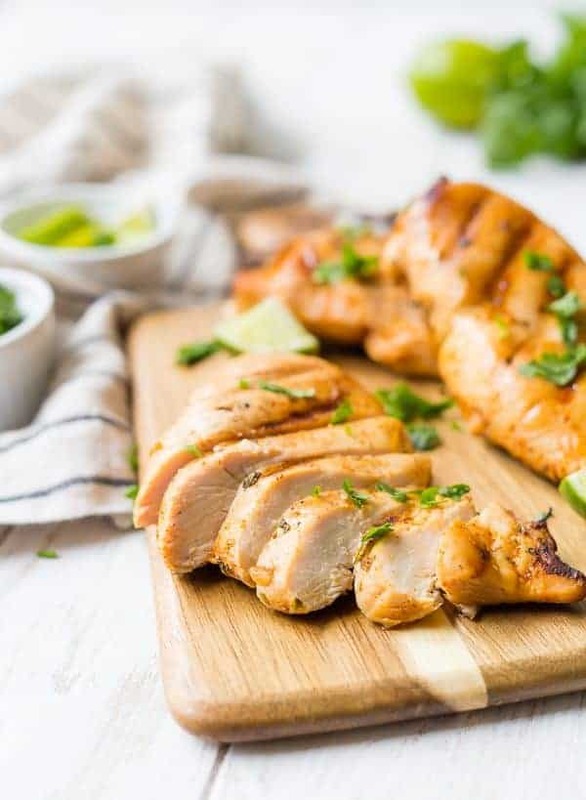 This zesty and flavorful tequila lime chicken marinade is reminiscent of a margarita and perfect for making grilled chicken for fajitas. You’re going to love it! I’m bringing you guys a little summer today….and a little fall later this week. It’s kind of how it has felt in Michigan lately. We’ve had temps in the 80’s, but the local Fall Festival in full swing this past weekend, and we’ve spotted some leaves changing colors. We visited the apple orchard with N’s class on a field trip, picked apples, and tasted cider and doughnuts. Well, I had a doughnut at the cider mill, but I made doughnuts from scratch for N since he’s allergic to nuts and sesame. The life of an allergy momma, am I right? I used an Ina Garten recipe for Cinnamon Baked Doughnuts and they were a hit. One of my good friends (hi, Alissa!) 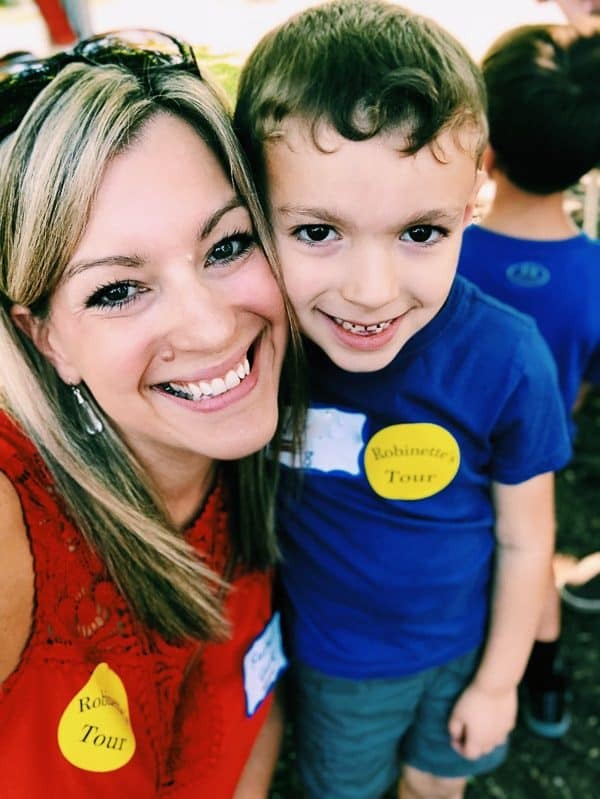 was standing next to me at the field trip and said, “He’ll appreciate everything you do for him someday.” Probably not fully true, but he gets left out so often because of his allergies, so I try my hardest for him to feel included whenever possible. He said thank you and devoured that doughnut sitting next to all his friends eating who were also eating doughnuts. That’s all the appreciation I really need. He even smiled for me for a quick selfie…all he’s been doing lately for photos are goofy faces so I’m happy I got him to give me a quick smile for a picture. 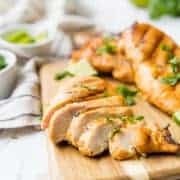 I’m not quite ready to let go of summer, and you seem to really love chicken marinades, so I’m bringing you another great chicken marinade option. If you’ve missed some of the other ones, make sure to check them out! My balsamic chicken marinade is a great go-to when you have an empty fridge (and it’s Whole30 compliant!) and my honey mustard chicken marinade is one of my favorites. If you’re digging the idea of booze in a marinade, you’ll also love these beer marinated chicken thighs. This Greek style chicken marinade is another one of my favorites. 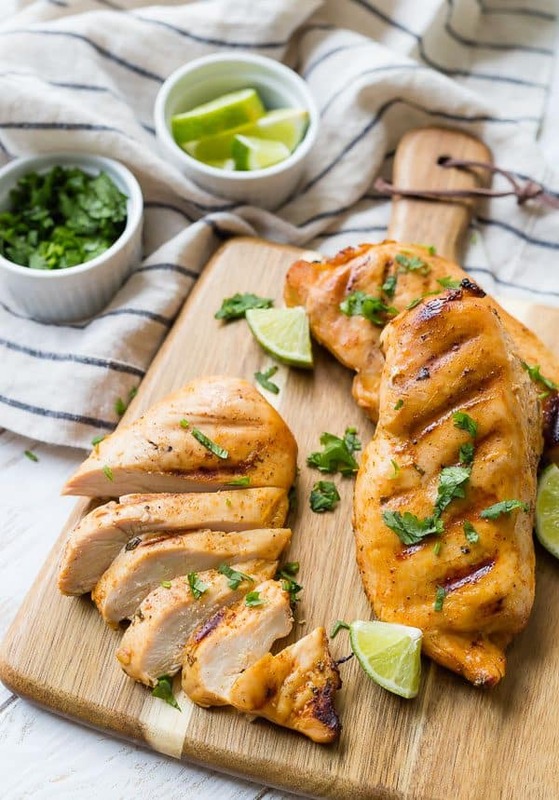 This tequila lime chicken marinade is great if you’re gonna just eat a chicken breast with some sides, but it’s also really perfect if you want to slice up the chicken and use it for fajitas. 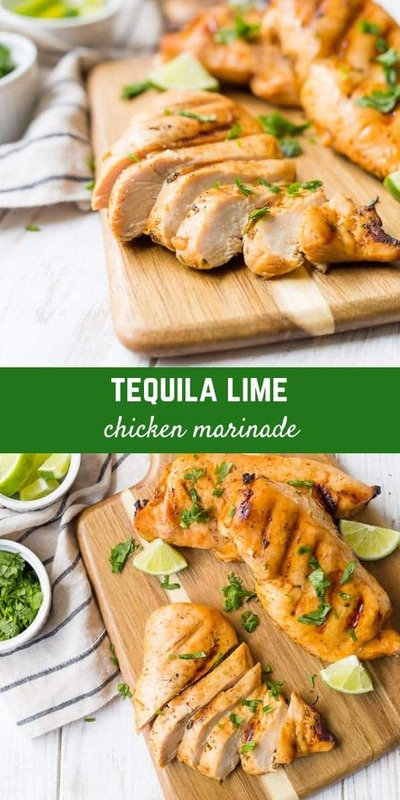 The flavors of the tequila and lime along with the flame-grilled flavor you get from grilling the chicken makes it absolutely perfect for fajitas or some sort of tex-mex burrito bowl. 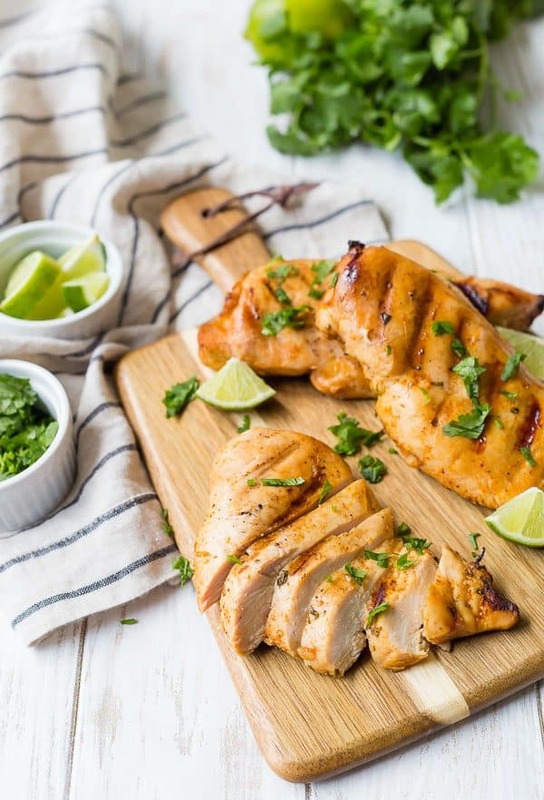 What’s in this Tequila Lime Chicken Marinade? 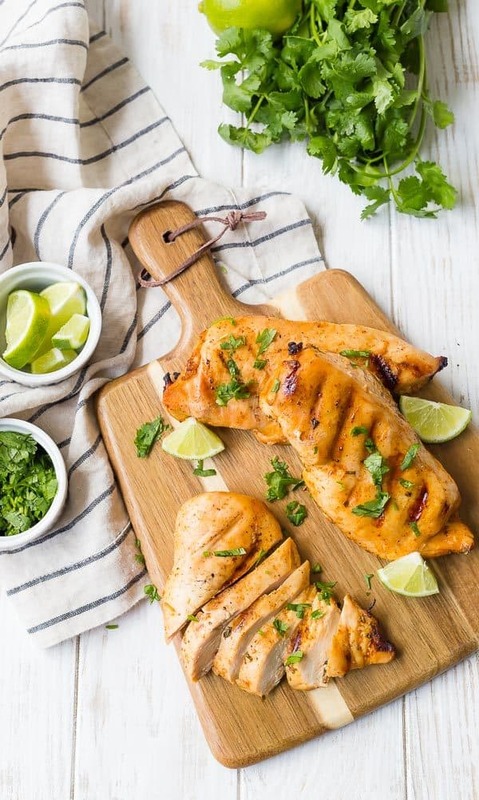 Reminiscent of a margarita, this marinade has tequila (obviously) and fresh lime juice. Its flavor is kicked up a notch with chili powder, garlic powder, and fresh cilantro. 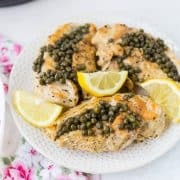 It’s sweetened slightly with honey and tied together with olive oil, which helps keep the chicken nice and moist. Leave out the tequila and honey. Won’t be exactly the same but it will still be delicious. Just leave out the tequila. It will still be great! Leave it out, it’s cool! I get it, it tastes like soap to you! I could eat a straight-up cilantro salad but I understand it’s not for everyone. Ben doesn’t…I wish he did! 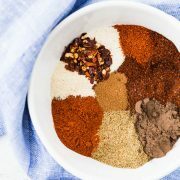 Garlic powder is more mild and achieves the flavor I want without being too obvious. If you love garlic, freshly minced garlic would be fab in this marinade. I’d start with one clove, but if you want to go big, add more! In a bowl or a measuring cup, whisk together lime juice, tequila, olive oil, cilantro, chili powder, honey, garlic powder, salt, and pepper. Place chicken in a zip-top bag or a baking dish and pour marinade over, moving chicken around to coat on all sides. 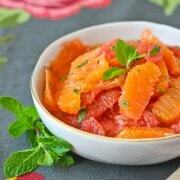 Place in fridge and marinate for 30 minutes to 4 hours. When ready to cook, remove from marinade and grill over medium heat (350°F) for 15-20 minutes or until internal temperature reaches 165°F on an instant read thermometer, flipping once. Cooking time will vary depending on thickness of meat and exact grill temperature. Nutrition information calculated for only half of marinade since much of it is discarded. 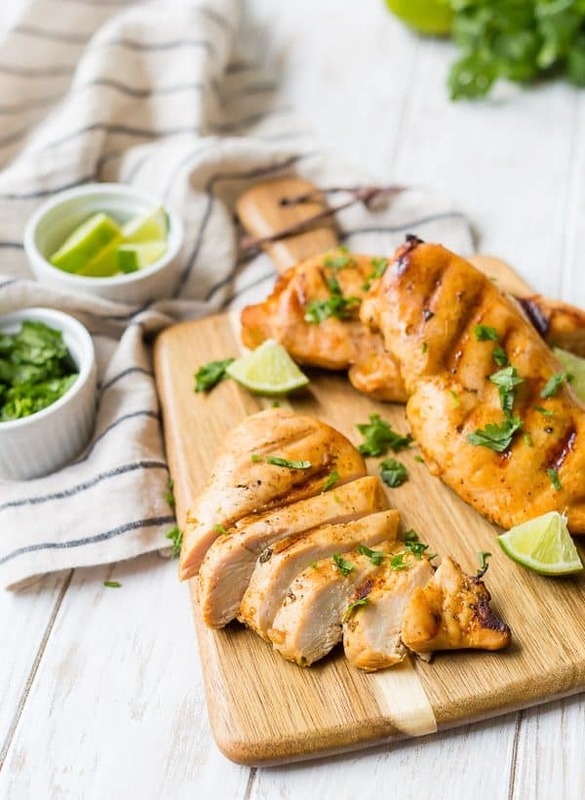 Verdict: I love this flavorful tequila lime chicken marinade! Husband’s take: No complaints from Benjamin! Changes I would make: None are necessary, but see above suggestions if you want to tweak this recipe. Looks like the perfect chicken recipe!!! Thanks Sheenam! Glad you like it! Sounds like a great marinade. Probably could use it for beef as well. Especially for fajitas. It would be – probably good on shrimp, too! I’m so with you — I’m in Illinois and this weekend we frolicked through some leaves in the 90 degree temperatures. In the Midwest you take what you can get I guess! I’m always looking for a great chicken marinade — especially for fajitas! Can’t wait to try this!